It all starts with the design! 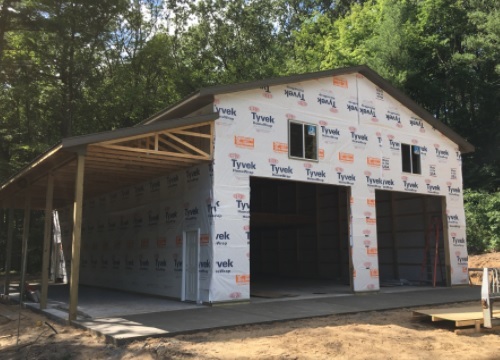 At Sharp Development we don't just build pole barns, we build YOUR pole barn. This means taking the time to listen to your needs and designing a structure to accommodate them. We use our in house design center to provide accurate and detailed prints for your project. Some commercial projects may require an engineered print in which case we will utilize our partnership with a local engineer. From there we move forward, ensuring your satisfaction each step of the way. From attaining permits, excavation, construction as well as electrical, plumbing and hvac services. 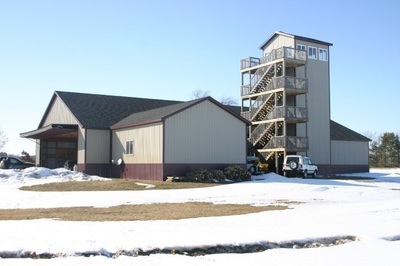 Providing turn-key buildings is our specialty. At Sharp Development we use only, knowledgeable local pole barn material suppliers. Material choice is an important part of our process. Too many customers attempt to save money on materials only to end up with inferior products or a higher price tag in the end. Though it may be tempting to visit a big box store for low prices; extra, missing or simply incorrect materials are commonplace mistakes with DIY or box store material orders. Let our expertise and relationships with trusted suppliers allow us to leverage the best combination of value and quality for your building. Looking for a Pole Barn Kit? Maybe a DIY Pole Barn Kit? The truth is, most websites advertising pole building kits are very misleading. The biggest factors with these kits are the design and the quality. Remember, your building must meet local building codes which most of the mail order kits do not. Let our expertise and relationships with trusted suppliers allow us to leverage the best combination of value and quality for your building. Looking for Pole Barn Pricing? No one likes to waste time. That's why we've decided to give some realistic price data to help your decision making process. 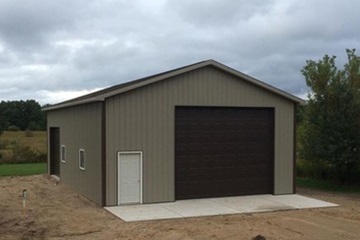 For this example we will use a standard barn design; minimal excavating, rectangular shape, steel roof, steel sidewalls, two overhead doors, a few windows, an entrance door and interior concrete-this does not include electrical or other trades. This average turn-key pole building price will fall somewhere between $25-$35/sqft depending on size. The bigger the building, the lower the sqft price will be. For more detailed pricing info, give us a call!